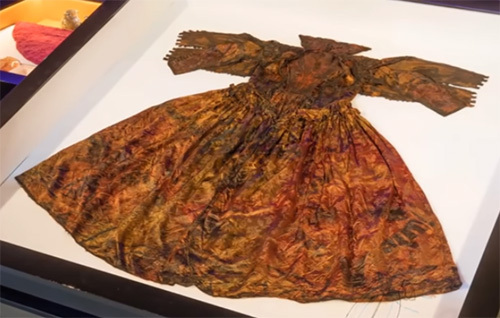 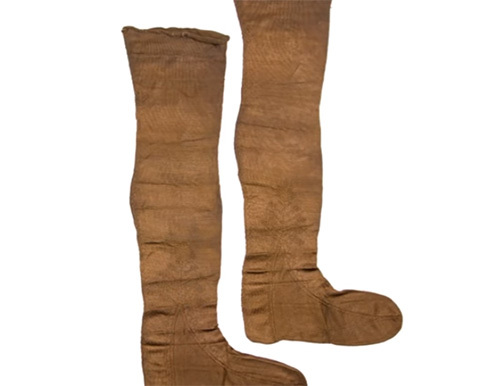 In August 2014, the Texel Diving Club recovered a box filled with perfectly preserved clothing from a 17th-century shipwreck under the sands of the Wadden Sea near the island of Texel, off the coast of North Holland. 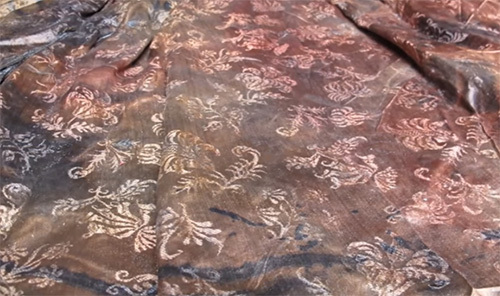 A silk damask gown in near perfect condition was recovered. 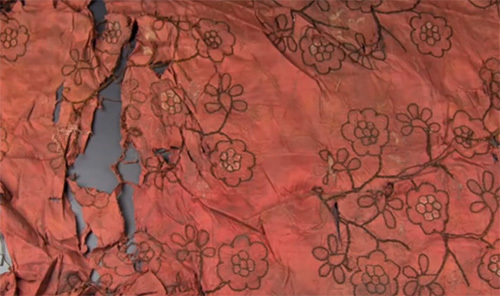 Along with a jacket, silk bodices, woven with gold and silver thread. 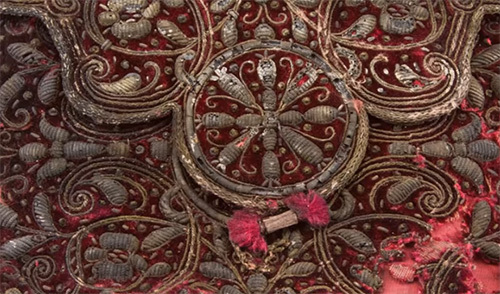 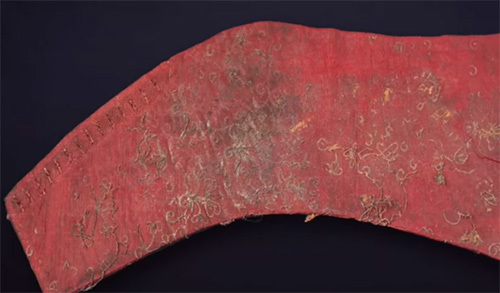 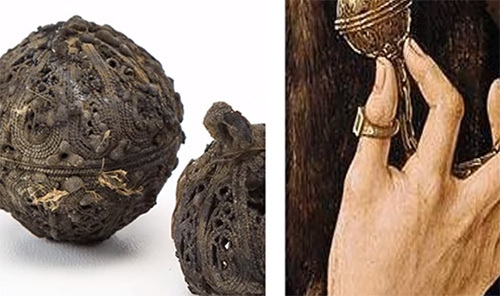 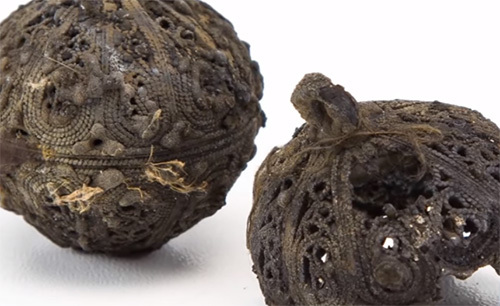 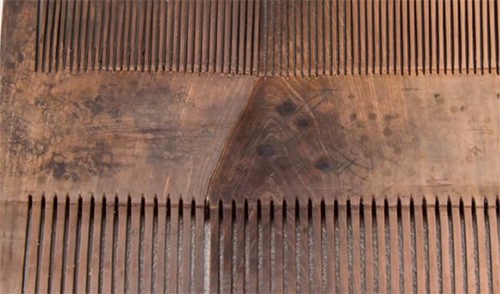 Other artifacts were also recovered from the shipwreck such as Italian pottery, a silver-gilt vessel, a red velvet pouch embroidered with silver thread that contained a two-sided lice comb made of cow horn, pomanders (spheres with pleasant-smelling contents to offset foul odors), and a number of leather book covers. 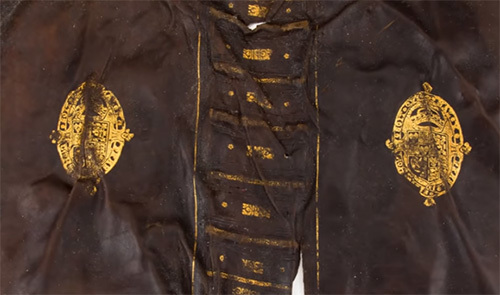 One of them is stamped in gold with the coat of arms of King Charles I. 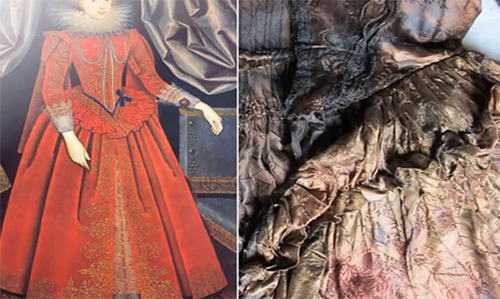 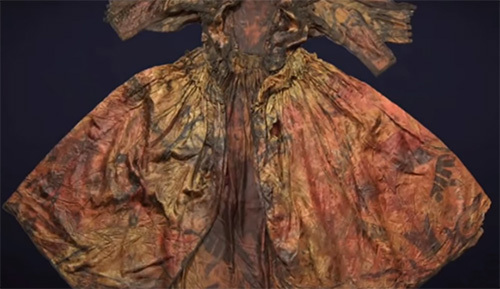 Historians believe that the lady who wore this lavish wardrobe was likely the Scottish lady-in-waiting Jean Kerr, Countess of Roxburghe, the confidante of English Queen Henrietta Maria. 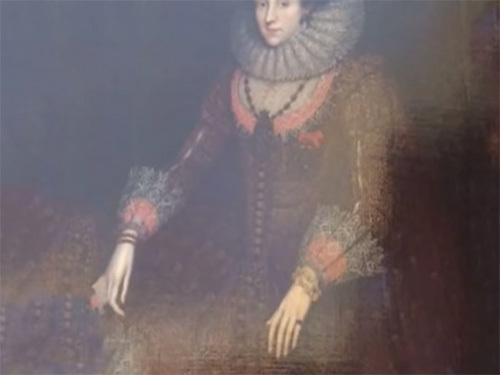 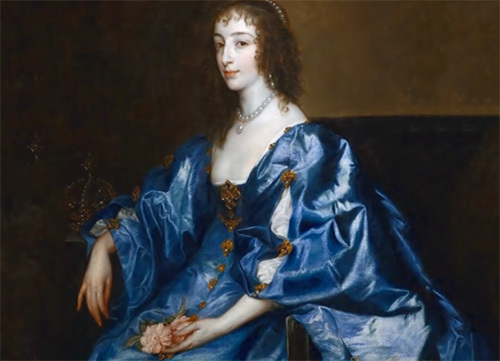 Experts on the English House of Stuart found a letter written on March 17, 1642, from Princess Elizabeth Stuart, who mentioned that her sister-in-law Henrietta’s baggage ships had gone down, carrying vessels from her private chapel, as well as the clothing of her ladies-in-waiting. 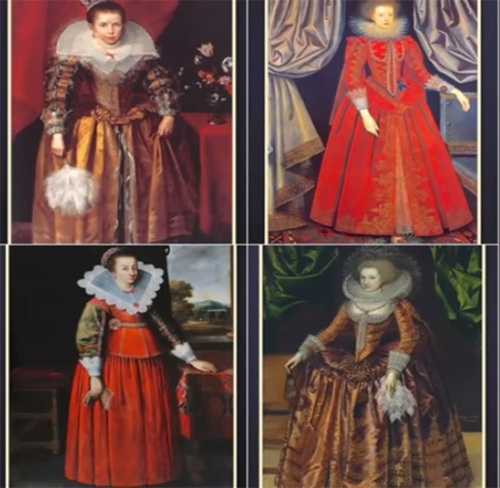 The collection serves as a kind of time capsule that reveals the clothing tastes of the elite of the period.